The Florida Challenger Jamboree | Kid Reporters' Notebook | Scholastic Inc.
Andrew reports from the Florida Challenger Jamboree at the South Orange Sports Complex in Orlando. 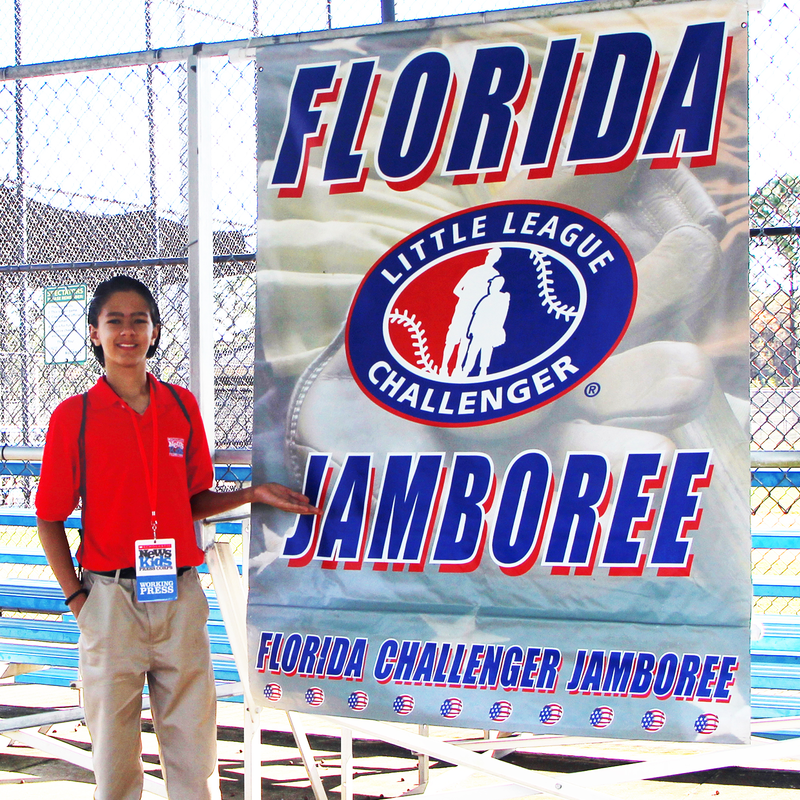 The annual Florida Challenger Jamboree, held earlier this month in Orlando, offers athletes with physical or mental challenges the chance to compete in “tournament-style” baseball. For the past 10 years, athletes from around the state have participated in the competition. Each athlete is paired with a “buddy” on the field who assists with throwing and catching. Founded in 1989, the Little League Challenger Division is an adaptive program affiliated with Little League Baseball. The Challenger Division welcomes players between the ages of 4 and 18. Athletes up the age of 22 who are still enrolled in school are also eligible to play. This year’s event was held at the South Orange Sports Complex. The registration fee is relatively inexpensive, allowing as many players as possible to participate. The success of the event depends upon the help provided by dozens of volunteers, including coaches, umpires, athlete “buddies,” and general event staff. Many of the volunteers have returned for several years in a row to participate in the heartwarming tournament. From the opening ceremonies, which were held on a sunny Saturday morning, to the final game on Sunday afternoon, the jamboree provided a chance for athletes and fans to come together and enjoy the true meaning of sportsmanship.